GiveBack DC 2017: Let’s #GiveArt to Truesdell School! At WDG, we know life is about much more than work. Our clients and the WDG family keep us plenty busy, but we never forget our DC-area roots. We started our GiveBack DC nonprofit initiative five years ago. While the format of WDG’s charitable work has grown and changed, our dedication to the local community never wavers. While we have operated multiple initiatives in different formats, this year’s efforts include quarterly mini-initiatives that will continue impacting the community, year-round. 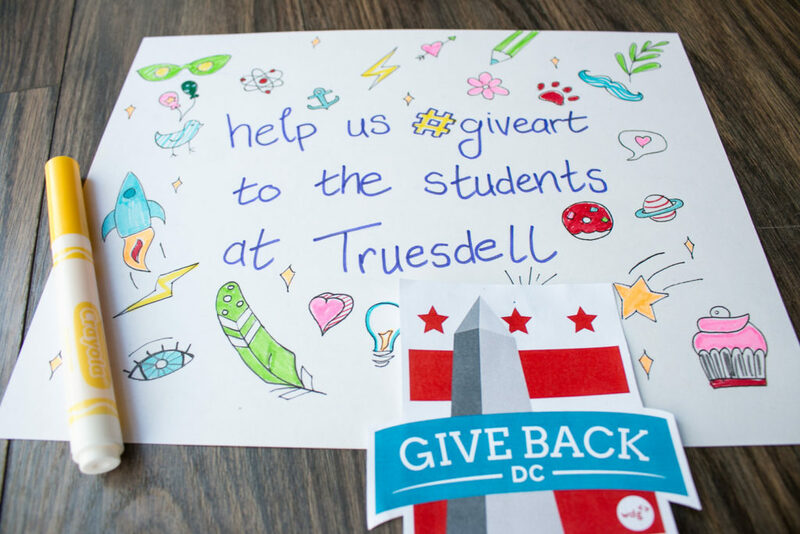 The 2017 Summer GiveArt initiative is aimed at helping the students of Truesdell Education Campus in northwest Washington, D.C. receive sorely needed art supplies. Truesdell is a Title 1 urban school with a severely underfunded Art department. The 600 students also lost their full-time Art teacher this year, making instruction even more difficult. 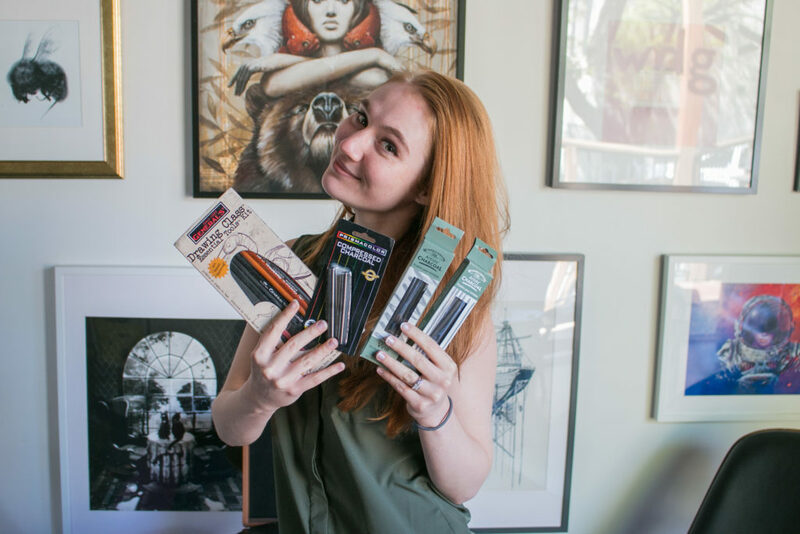 When WDG’s team learned of Truesdell’s dire need for supplies, we sprang into action. Our Design intern Zachary created a unique GiveArt page on our website to emphasize the importance of art education at Truesdell. We also created an easily manageable Amazon Wish List where Truesdell’s administrators could add needed supplies. This allows supporters to donate with a single click and receive online receipts for tax purposes. All orders will be delivered to the WDG headquarters in Alexandria, VA. Our team then plans to deliver all supplies to Truesdell at the end of the initiative as a welcome surprise for the Truesdell students. GiveBack DC is an initiative that has been near and dear to the heart of our team for years. The original initiative began in 2012 as a weekend-long hackathon designed to give Phoenix Bikes, Borromeo Housing, and DC Diaper Bank pro-bono websites. We solicited volunteer designers, developers, and content writers, in conjunction with representatives from each nonprofit, to create three incredible websites. The event was such a huge success that the exposure created a direct funnel for improved marketing and increased donations for each nonprofit. For example, DC diaper has since grown into a nationally recognized organization operating a huge warehouse for mothers in need. Founder Corinne Cannon was even featured as a CNN Hero in 2015. The interest garnered by our first initiative encouraged other agencies to join in 2013, so we created a collaborative effort with peer agencies nclud, Free Range Studios, and Threespot Media to build websites for four deserving nonprofits. This initiative helped nonprofits focused on supporting veterans reentering the workforce, urban youth education, and domestic abuse victims. We were honored to have Ebay, WordPress, and Blackmesh as sponsors, and we partnered with 1776 to hold a celebratory event which created a network that continued to raise awareness. Check out some of the highlights here! In 2014, our team set up a month-long giving initiative helping DC Diaper Bank raise much needed donations of diapers for the holiday season. We created an Amazon Wish List for easy donations, and our team began a social media blitz to garner as much support as possible. Impressively, we surpassed our goal and received over 5,000 diapers in 30 days for DC Diaper Bank. We focused internally on providing three nonprofits new websites in 2015. The initiative supported causes close to our hearts, including veterans, arts opportunities for urban youth, and an animal rescue shelter. The internal focus brought us together as a team to help these organizations during a 6-month initiative. We extended these efforts by hosting another event with 1776, and were fortunate to have Blackmesh, Good World, and General Assembly as sponsors. Good World even focused on raising donations via Twitter during the event, creating a simultaneous fundraiser for the nonprofits. This allowed us to create a unique cross-industry networking opportunity that connected nonprofits and agencies, making the community even stronger. With the success of our past major initiatives, we can’t wait to see where this year’s efforts go. The growth of GiveBack as a charitable tradition at WDG is one of the accomplishments we are most proud of. Join us this year to help #GiveArt to DC-area students! Want to to help the students of Truesdell or just want to get involved? Email us or follow @GiveBackDC on Twitter. We can’t wait to hear from you!